We have something different now. A new way of thinking, a new way of living. We share because we have had enough of deprivation. We love seeing everyone succeed. We prefer to lift up others through what we do. It is no longer a competition because we live in cooperative generosity. Since practicing our own individuality, we see much better solutions. We approach everything with the expectation that it fulfills a good purpose for everyone. We set up our world culture so that everyone has access to the resources which will allow them to lift themselves up and bless others. We assume that each person has an individual purpose. We assume that our purpose is to live harmoniously. We assume that everyone all over the world has the same rights and inner resources. These are the principles for our relationships with others. 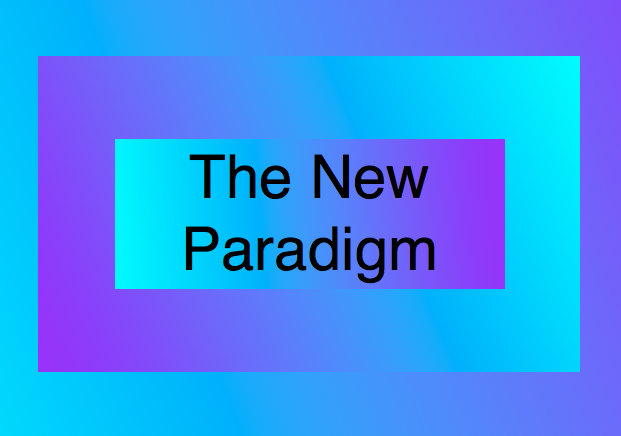 We are tired of the old paradigm. It’s only purpose is the contrast to the new one we are building. The horror of the old one and the inspiration of the new one. Everyone has harmonious ways of serving and blending and realizing their goals because no one, in their infinite individuality could possibly want what another has when our own inner richness is fulfilling us and overflowing and blessing everyone around us.